Hi! Monday was a crazy day at home, there's some re-construction going on outside+inside the house and sometimes I have to turn off the computer. 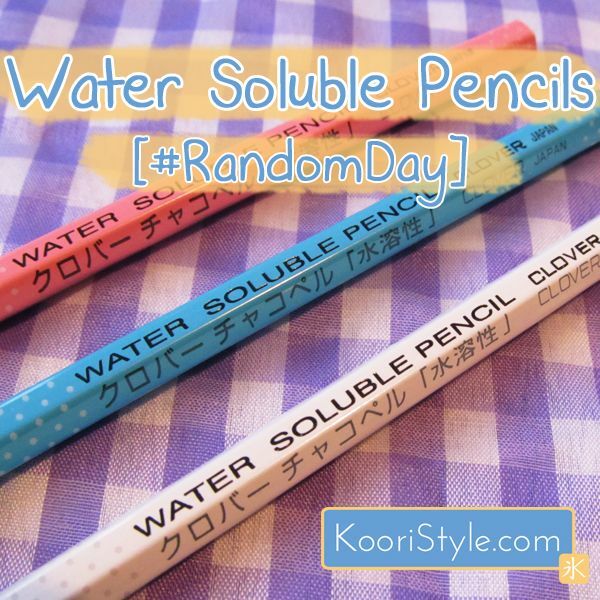 So~ this will be a quick Random Day; actually I was working in another blog post, but I decided to change that one into a larger post so that's why today's update will be about some items I bough time ago. 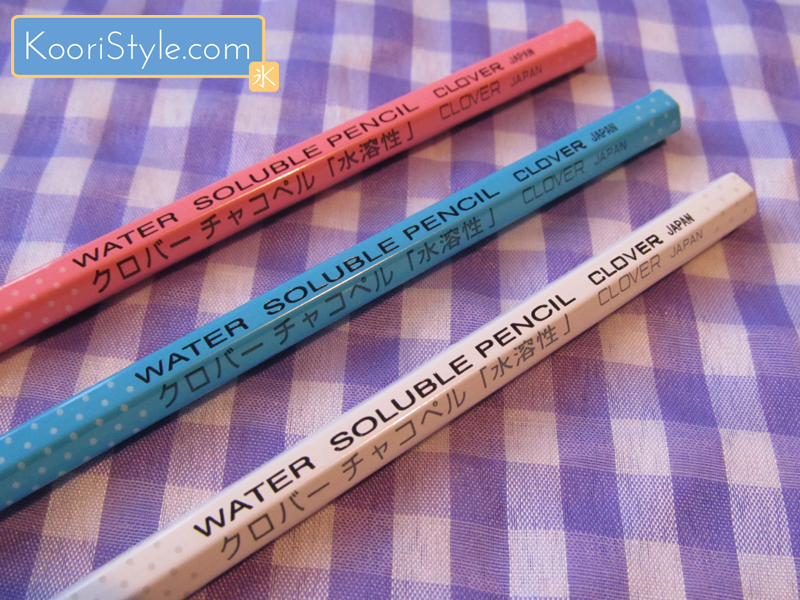 These are my Water Soluble Pencils by Clover. 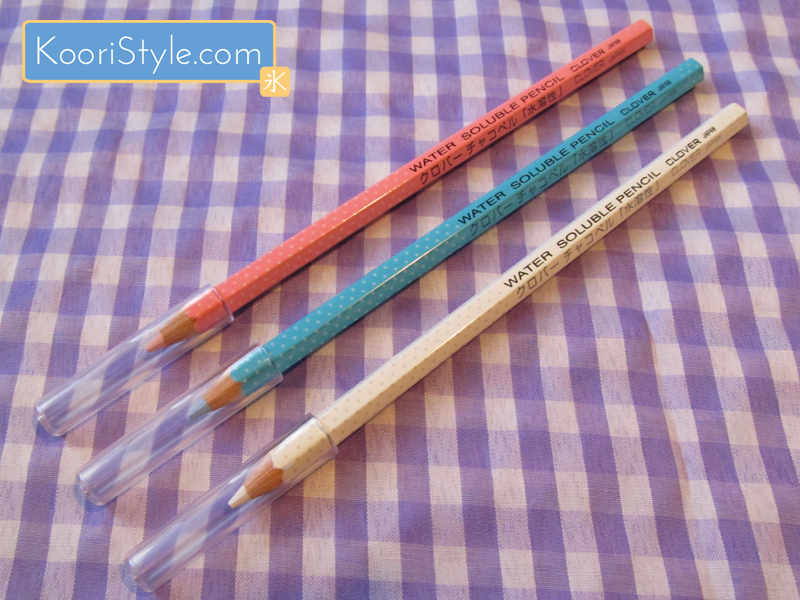 These pencils are very handy when it comes to sew, stitch and do patchwork because we can mark easily above the fabric and wipe it off with some water. They come in three different colors: white, blue and pink. At the time I've only used the first two, but I'm pretty sure the pink one works as well as the other two. Have you bough something only because it had a 'random' characteristic? Or, do you use special items for your sewing and crafts projects? Leave a comment below and I'll see you again this week ♥. Estos lápices son muy útiles cuando cosemos ya que con ellos podemos marcar sobre la tela y borrarlo con facilidad ayudándonos de un poco de agua. Vienen en tres colores: blanco, azul y rosa; este último aún no lo uso pero de seguro sirve igual de bien que los otros dos. ¿Ustedes han comprado algo solo porque tiene algo ‘random’ que les gusta? O ¿Utilizan algún artículo especial para sus proyectos o manualidades? Dejen un comentario abajo y nos vemos de nuevo esta semana ♥.